…It’s what happens next that defines them. Over the past two decades, I have found myself following Mother Nature’s destructive course around the world. 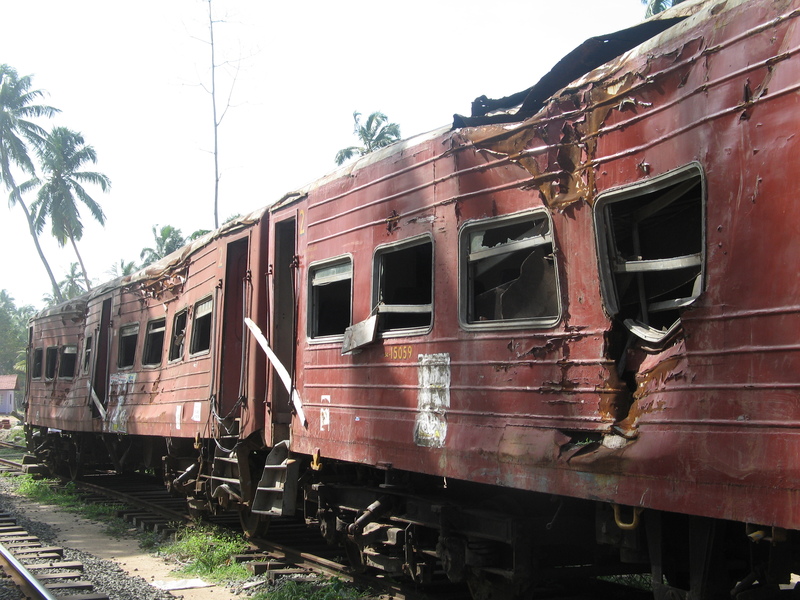 I was in Sri Lanka after the devastating Christmas tsunami of 2004 and in Haiti just a few weeks after one of the worst earthquakes in living memory had destroyed Port au Prince, leaving over 200,000 dead and a further 1.5 million people homeless. Both these rate amongst the top ten deadliest natural disasters of the past 100 years. Nepal’s two recent earthquakes, by comparison, come quite a way down the list. Their longer lasting effects though will affect far more lives as the weeks and months unfold. Next month sees the arrival of the summer monsoons, when landslides, leeches and heavy rains will inevitably affect the relief efforts and cause even more problems for the thousands left without adequate shelter or the most basic of provisions. The rains will contaminate the water supplies and bring with them water-borne diseases, poor sanitation and intolerable conditions. When Hurricane Katrina hit the United States in 2005, she was described as one of the deadliest storms in history, causing widespread destruction and loss of life across great swathes of Louisiana, New Orleans and America’s Gulf Coast. The 2011 tsunami that hit the northeastern coast of Japan brought with it nuclear meltdown and damages estimated at over $300 billion dollars. Years later, both Japan and the United States, two of the richest countries on the planet, are still dealing with the aftermath of those destructive forces of nature. 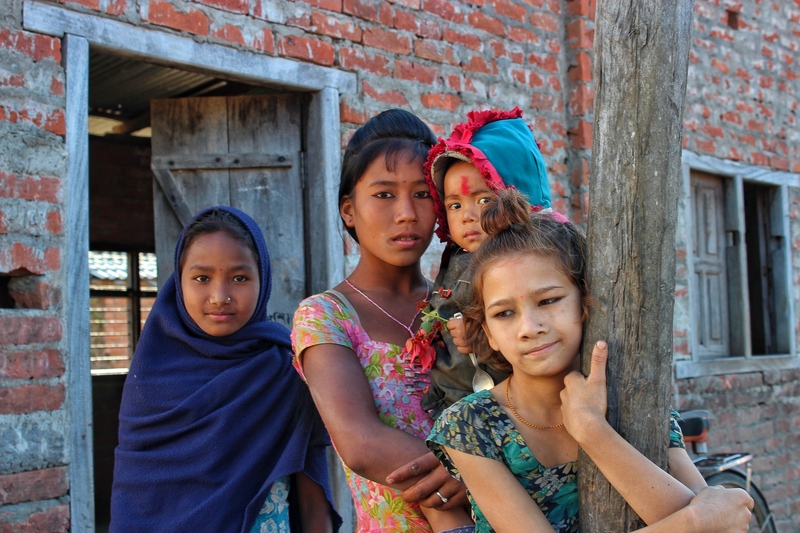 What hope then for Nepal? 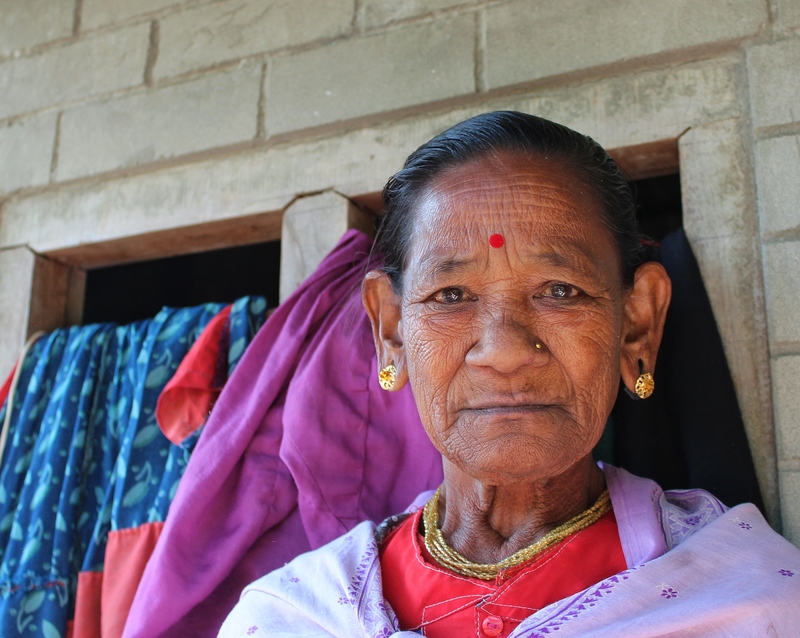 One of the poorest countries in the world, Nepal’s infrastructure is devastated. Heavily reliant on tourism, her World Heritage sites lie in ruins and her lucrative trekking and climbing routes have been decimated by avalanches and mudslides. Welcome and essential as the current outpourings of sympathy and aid are, I can’t help wondering how long it will be before the world moves on to the next sound bite. 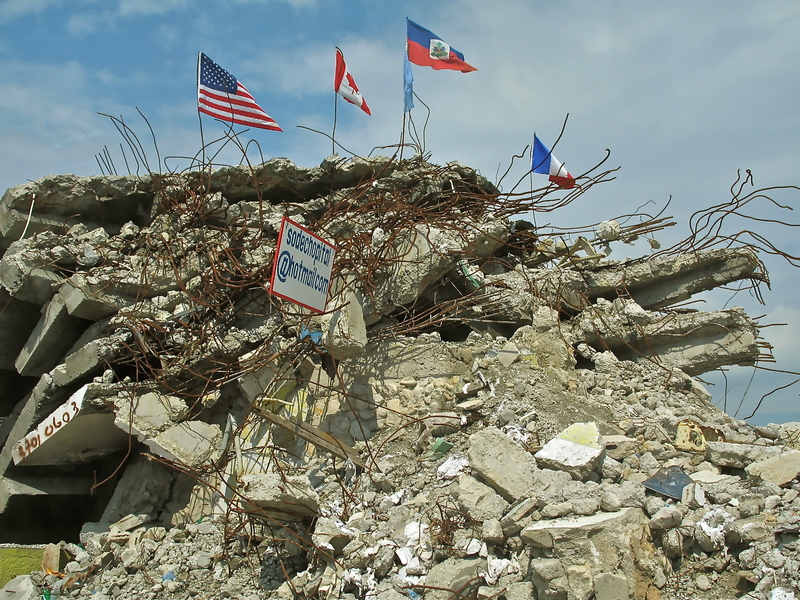 It has been five years since the Haiti earthquake and many of the scars still remain amongst the shattered ruins of the country’s capital. 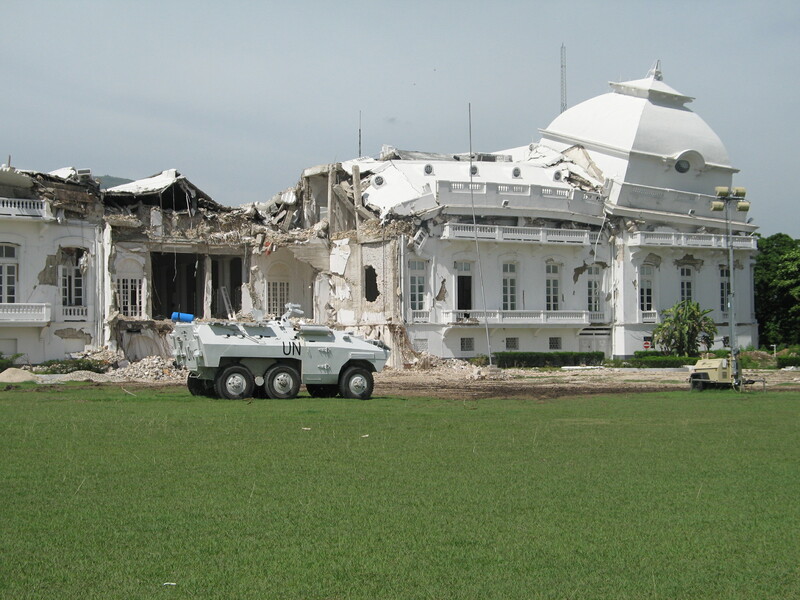 At the time of the disaster, the country was swamped by relief agencies. Everyone wanted to get in on the act. Today, the NGOs and the investors have long gone and the tented refugee camps have been replaced by sprawling squatter camps on the outskirts of the city. 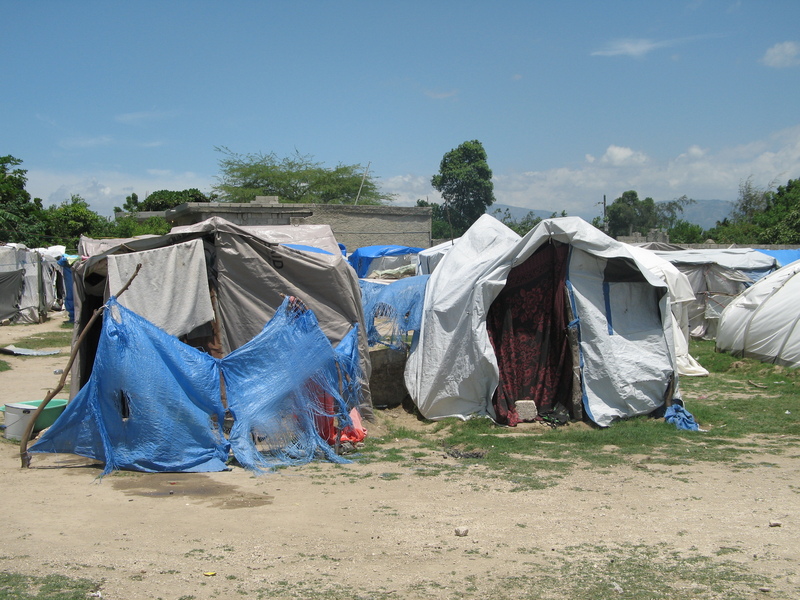 Many Haitians are in a worse situation now than they were before the earthquake, and this is a country that, at the time, was the poorest in the Western Hemisphere. I remember the day I took this photograph. We had been stopped at a road block and I remember asking my driver about the significance of the flags fluttering amongst the twisted wreckage. It seemed incongruous somehow that this one building should stand out amongst a seemingly endless landscape of indiscriminate destruction. He informed me that it had been a maternity hospital. On the day of the earthquake there had been 125 women and children in there. For some reason this one image has always summed up the sheer hopelessness of Haiti’s plight for me. The relief agencies had taken the time to place flags in the rubble, but none of them had had the time or the resources to recover the dead from inside. Over the coming days I was to see far worse sights amongst the slums and refugee camps of Port au Prince, but somehow my thoughts always returned to this one emotive image. Five years on, it still exerts a powerful hold. 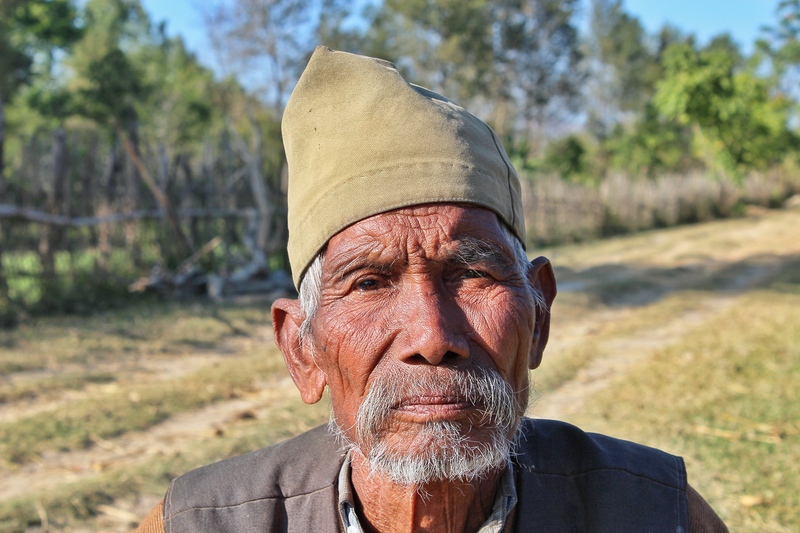 …I just hope Nepal’s story has a happier ending.